God has taken her to places she couldn't have imagined. Ramshackle tin shanties jostled each other along rutted dirt lanes up and down the mountainside — if one could really call them mountains. Mountains speak of grandeur and stability, but the “mountains” of this neighborhood were built on the trash of those more fortunate. 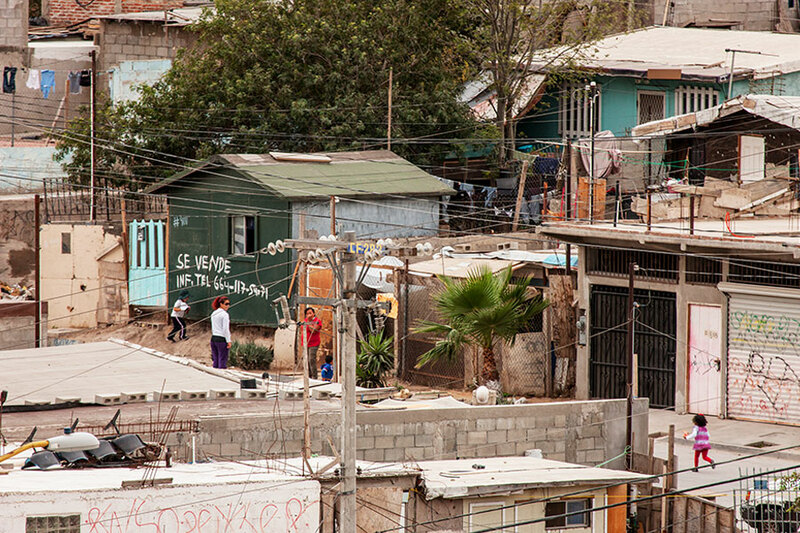 Stability was lacking in this poverty-stricken region of Mexico, where many families struggled to provide for their basic needs. These struggles were compounded by the drug trade that brought havoc to the lives it invaded. Few were left unaffected. Inside one of those small tin shanties, within this community, sat a young woman. Rain pummeled the tin roof above her, but the sounds were lost on her. Droplets seeped through several leaks in the roof and fell to the ground beside her. They went unnoticed. Her mind was elsewhere. Sitting in the middle of the room with her eyes closed, Amelia Orrostieta thought back on her childhood. While her father flitted in and out of their lives as poor life choices landed him in prison time and time again, her mother worked long hours, juggling multiple jobs to provide for Amelia and her two younger siblings. Life wasn’t always easy, but despite the hardships there were many good memories. Tears welled in Amelia’s eyes as she pondered the faithfulness of God in not only her life, but in that of her younger siblings. It was on this mountain with no grandeur that time and time again God had proven His faithfulness and His grandeur. But she hadn’t always understood that. A “chance” invitation landed 14-year-old Amelia at a three-day youth camp. It wasn’t the message that first caught her attention. It was seeing God in the lives of the youths she encountered that stirred hope in her aching soul. There was something different about them, and whatever it was that they had, Amelia wanted it. She sat up and listened. They spoke of a God who loved her as a person and paid the price for her sins. This was so different from her idea of a distant god who demanded her good works. But her new life on the inside didn’t keep life from happening on the outside. Mere months after Amelia stood and confessed Jesus Christ as Savior, a sudden illness took Amelia’s mother prematurely from the lives of her children. She became ill one day — and the next day was dead. It was then that God brought Amelia’s father back into their lives. Although her father had many problems of his own, God was going to use him to get Amelia exactly where she needed to be. This was a man who wouldn’t think of stepping foot inside an evangelical church. And he helped her find one. An evangelical, missions-minded church started by American missionary Rick Johnson. This was the church God would use to change Amelia’s life. Time passed, Amelia continued to grow in the things of the Lord, and her church kept missions front and center. “Rick Johnson had a heart for missions,” Amelia recounts. “He showed us videos like Ee-taow! and exposed us to many aspects of missionary life.” His passion for missions infused the very fibers of the young church. They corresponded with and prayed for missionaries. They went on mission trips within Mexico and beyond with Rick, and his wife, Eunie. 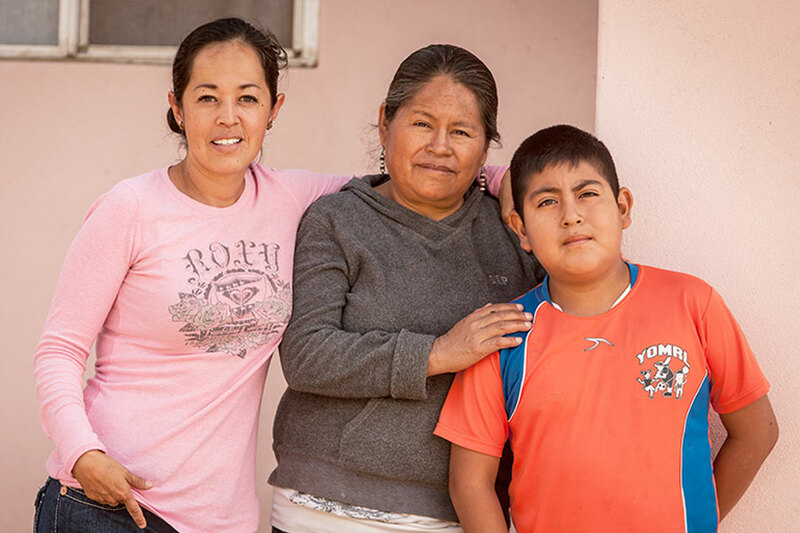 When they saw needs in missions, this struggling church in a poverty-stricken neighborhood of Mexico collected money to meet the needs. They lived and breathed missions. These were the men and women who mentored young Amelia and her siblings. And then God Himself impressed missions on this young woman’s heart. Amelia knew in her heart the answer was yes. Still, she remembered an Old Testament principle that though children can make promises to God, their earthly father can say yes or no. She wanted her father’s approval. The unknowns outweighed the knowns. But by faith, Amelia said “Yes!” to God. She said “Yes!” to a magnitude of unknowns, confident that the one great known in her life, her Heavenly Father, was in control. But it wasn’t only she and her dad who had to say yes. Amelia reunited with her father. “I knew my church needed to be involved in this, but I didn’t understand how they would be the ones sending me and supporting me, praying for me and everything,” Amelia recounts. She wasn’t sure how it was all supposed to work. Neither did they. They were well grounded, well taught, and already a church with a passion for missions — but they had never sent anyone out before. “What does that mean? What’s implied in that she wants to be a missionary? What do we do? Where do we start? How do we help her do that?” the church leadership asked missionary Rick Johnson. For one year Amelia and the church leadership prayed for God’s will to be clearly known. As the year came to a close, the leadership asked Amelia again, “Are you sure you’re interested in missions?” Her answer had not changed. Rick researched the cost for Amelia to receive training through the NTM missionary training program in Chihuahua, Mexico — and then took his findings to the church leadership. But Antonio wasn’t suggesting they give up. Over the years, the church had been taught that the work of the Lord is not dependent on the economy. So it didn’t matter that they were a church with limited resources. It only mattered that they obeyed. And in that moment, facing the financial hurdle of supporting Amelia, this understanding held them firm. Below: Pastor José Barboza holding the offering box designated for funds to support Amelia. After all these years, the church continues to support Amelia 100 percent. "The passion for missions infused the very fibres of the young church." And so the journey began. A journey not limited to Amelia, but one that extended to her church family. She applied to NTM in Chihuahua and received an acceptance letter, but just as she was about to purchase tickets, the unthinkable happened. Amelia’s father ended up back in prison. And this changed everything. With no warning, 18-year-old Amelia was once again the guardian of her younger siblings aged 8 and 10 — and taking them with her was not an option. Her church family put forth a valiant effort to make it work, even offering to take her siblings into their homes and families so that she could go. But as Amelia corresponded with her father, it became clear that his consent hinged on her taking her brother and sister with her. And there was wisdom in keeping the family together. With no sign of the door reopening, but still trusting in God, Amelia arrived at church early one evening. Her siblings wouldn’t be able to go with her to the Bible Institute, which meant she couldn’t go. The church leadership needed to be told. They still weren't sure how they were going to do it, but they were excited to be a part of what God would do through Amelia. Pastor Jose Barboza with missionary Rick Johnson. Amelia was stunned — and uncharacteristically speechless. She sat there with her mouth open, staring into space, oblivious to the men asking her questions. She was completely lost in the wonder of what God had done for her. Following four years of training with NTM came the task of putting together a team. Eventually, an all-Mexican team consisting of three singles — Amelia, Miguel and Gricelda — and one couple was established among the Triqui people of San Quintín in Baja California, Mexico. One of Amelia's co-workers, Miguel Pena. By then Amelia’s brother and sister were teenagers, settled into school and life, and God miraculously worked out the details for them to continue studying where they were. God was moving Amelia into missions, and He hadn’t forgotten her younger two siblings. Now her new life as a missionary began in earnest. But there were some bumps in the road ahead. 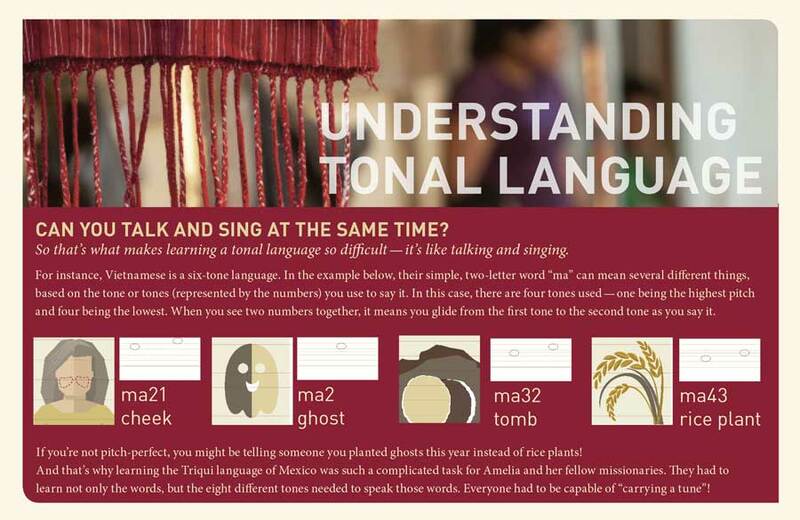 The language of the Triqui people proved to be a complicated tonal language. To put it into perspective, while Thai and Chinese are considered difficult to learn because they each have five tones, this dialect of Triqui has eight. It wasn’t going to be a quick study to fluency. But they persevered. Then another jarring bump. Due to life circumstances, the couple needed to leave the Triqui work. It could have been a crippling and devastating turn in the road for the team. But by faith, the three single missionaries moved forward. Amelia continued on with the translation of the Bible. 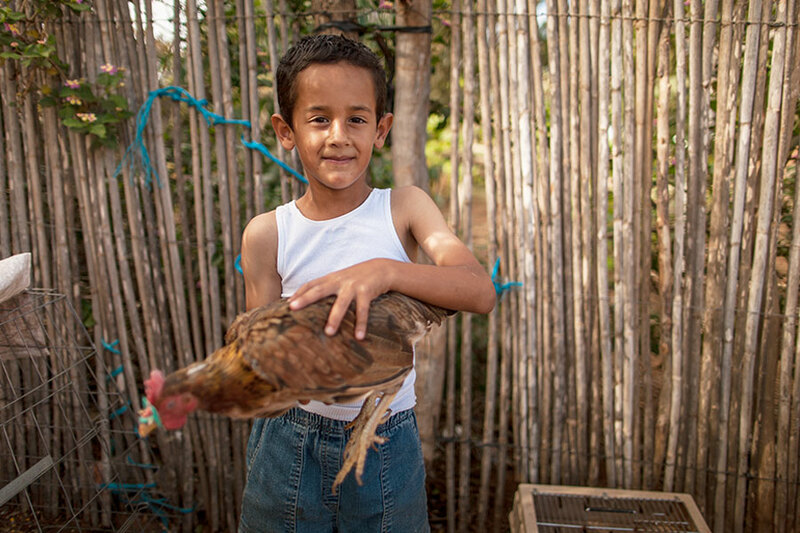 Miguel took over translating the foundational Bible lessons, preparing for the day when teaching would begin. 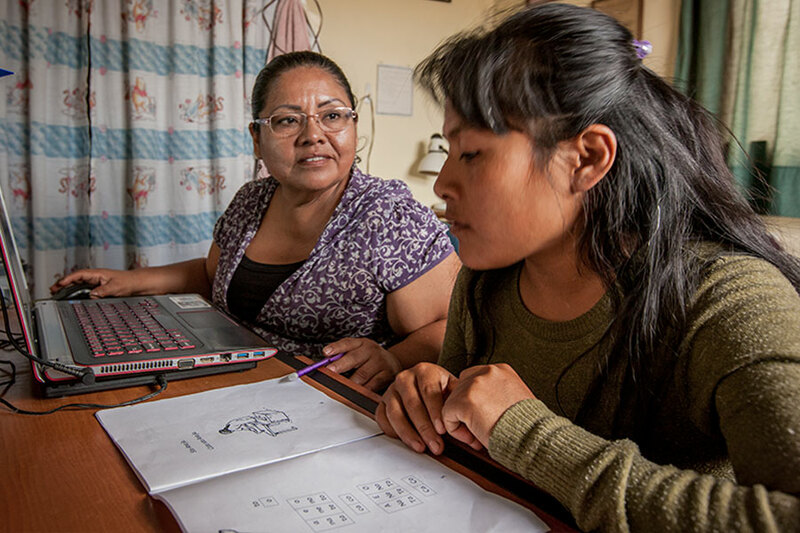 And Gricelda plugged away on the literacy booklets, recognizing that readers of the tribal language are crucial to an “independent-of-the-missionaries” maturing church. They were a unified team. Gricelda Villalba on left working on literacy booklets with a Triqui woman. 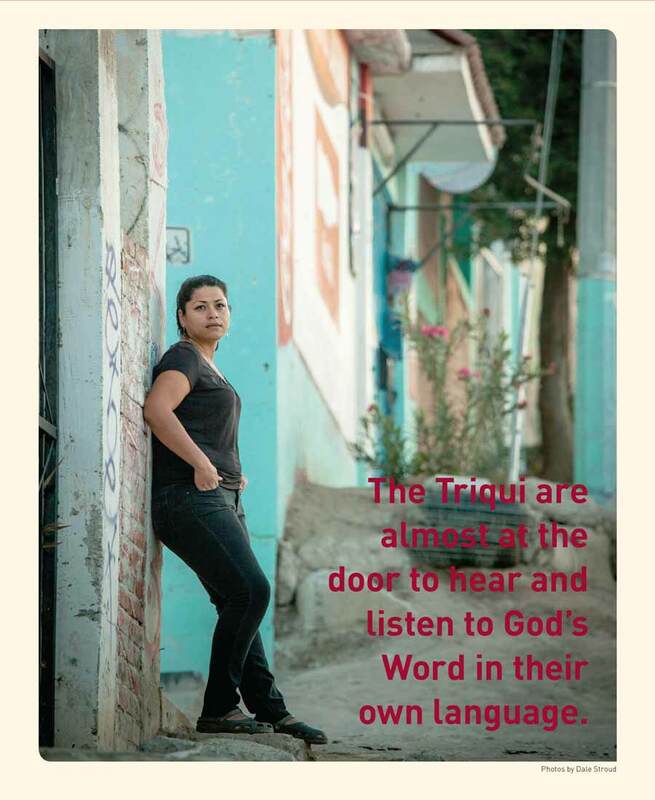 Even more beautiful to Amelia is “how ready the Triqui people are to receive God’s Word. The reason the gospel hasn’t been shared here is because we, the missionaries, aren’t ready. We don’t have the lessons ready, or the translation. What blessings are we missing out on? What if Amelia hadn’t said yes to God and missions? What if her church had said they were too poor to take on such a responsibility? And what if the Triqui team had given up in discouragement? Would the Triqui still be “almost at the door”? For sure, Amelia would have missed seeing the amazing things God could do on her behalf. Her church wouldn’t have seen God multiply their sacrificial offerings to support her. And the mission team would have missed falling in love with the Triqui people — and the future privilege of sharing the gospel with them. Of course, God would have found other willing vessels — and someone else would have reaped the blessings. Below: Living and serving among the Triqui people of Baja California, Mexico. What about you? Is there anything in your life that you’re missing out on? Perhaps you’re feeling fearful of the unknown. Maybe you’re wondering how a yes response to His nudges will change your world. José had the reputation as a faithful sweeper long before he had the reputation as a faithful prayer advocate. But only one of those changes lives for eternity. “They had confidence in me because I would do the work and be on time,” José said of his sweeping jobs for stores near his home in Mexico. And this faithfulness translated to an effective prayer ministry spanning several decades and affecting countless lives for God. It began when his church in Mexico reached out to the drug addicts and alcoholics who lay passed out on the streets and sidewalks of the red light district. “After seeing how some fell away after coming to God … God gave me the desire to pray for the people on the streets,” José said. And as the church branched out into missions at home and abroad, José’s circle of prayers expanded. And he’s not haphazard in how he goes about it. José has a stack of index cards and each one has a name. The name of a single missionary or a couple or a family. Beneath the names are detailed prayer requests garnered from correspondence with the missionaries. José does not pray in generalizations. He prayers specifically. Methodically. And faithfully. 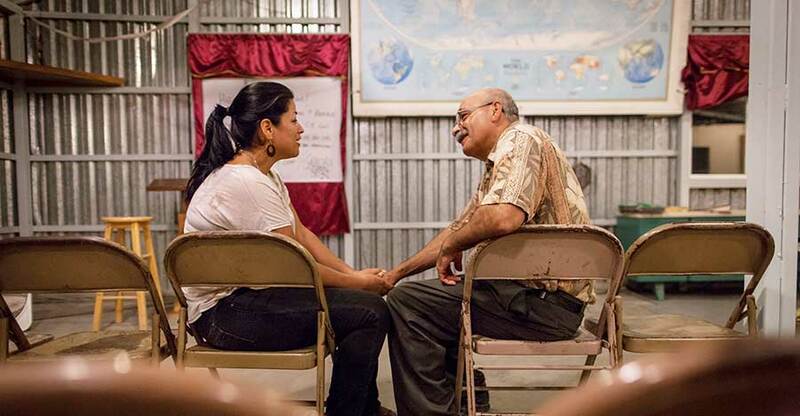 José’s faithfulness means a lot to the missionaries he prays for. 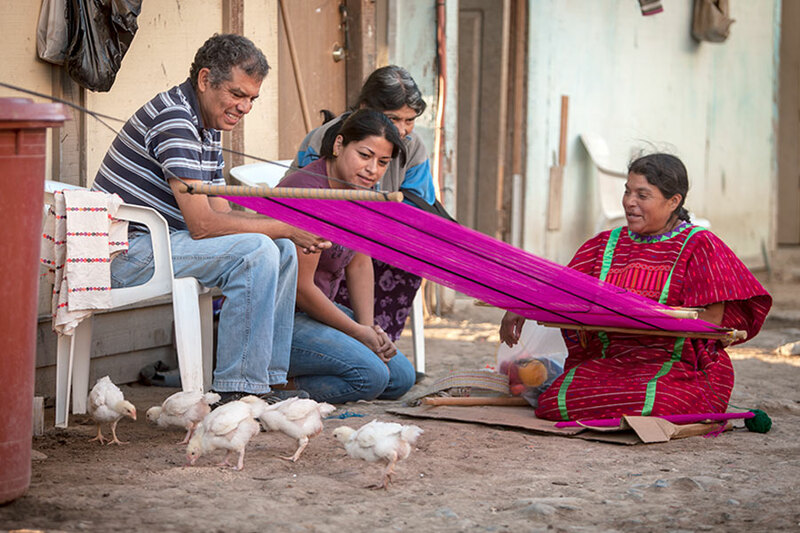 Missionaries like Amelia Orrostieta, a single woman sent out from his church who works with the Triqui tribal people of Mexico. That’s a challenge we’re thankful you’ve accepted. 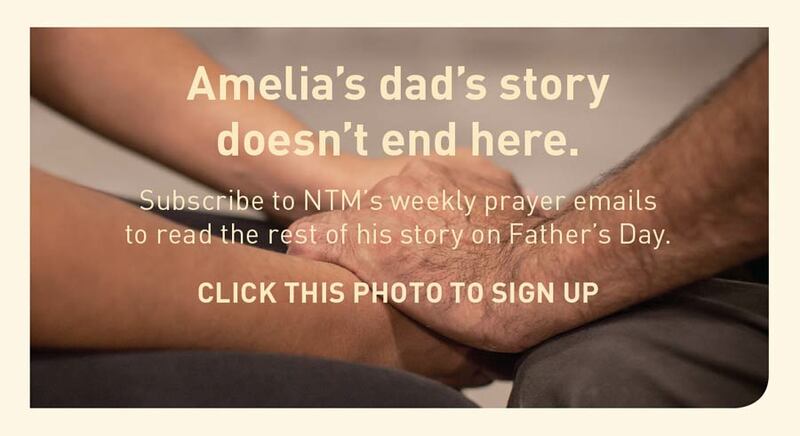 Could you expand the circle of prayer by inviting a friend to sign up for NTM’s Weekly Prayer Bulletin and Daily Prayer Reminders? Thank you for your participation in prayer. The Yanomami are no strangers to warfare. But they were puzzled, as they read and reread that passage, as to what the warfare is, in this case, and who is the enemy. A spiritual battle? They know all about flesh and blood enemies. Things don’t always go according to plan — and that’s usually viewed as a bad thing. So when I tell you that is what happened with the Manjui New Testament, you might be ready to despair. 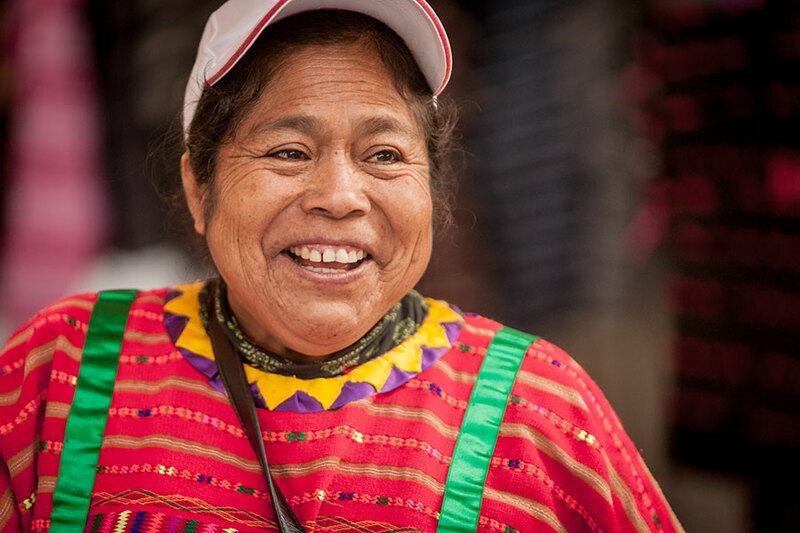 Among the tribal groups in which New Tribes Mission Mexico is working, most are in need of more missionary coworkers, and ALL are in need of prayer and encouragement. Within the context of missions, teaching people to read or write rarely makes headlines, but it's vital to the church planting effort. Pray for Bible teaching efforts. Twelve new believers in Wano tribe. Pray for ongoing Bible translation. Please pray for the Mengen Church. Your prayers are vital as a plane that will serve missionaries in remote areas of Brazil undergoes the import process. Kendawangan to hear about the death, burial and resurrection of Jesus. Manjui New Testament Complete! 23 Wahgi Believers Baptized. Bible translation moving forward for Nagi people. Mengen Church Reaching Out. Literacy coming to Elseng people. For missionaries Jevon and Danica Rich, moving into the tribe is the answer to ten years of prayer. Just before going to bed, Danica heard the sound of wailing. It would be morning before she knew why. Elvio had a rough life, and dished out as much as he got. So guess what he did when he heard foundational Bible teaching? After a long wait, it becomes increasingly clear that God's planting and harvesting timetables are perfect. Obstacles to beginning a flight program to support missionaries in remote locations are being surmounted. By the traditions of Nahuatl culture, Humberto had every right to shoot back. New Video: Help the Gospel Take Off. Guarijio Bible Translation Update. Badyaranke Seeing the Light through Chronological Bible Teaching.